Iron On Embroidery Patterns by Sublime Stitching. 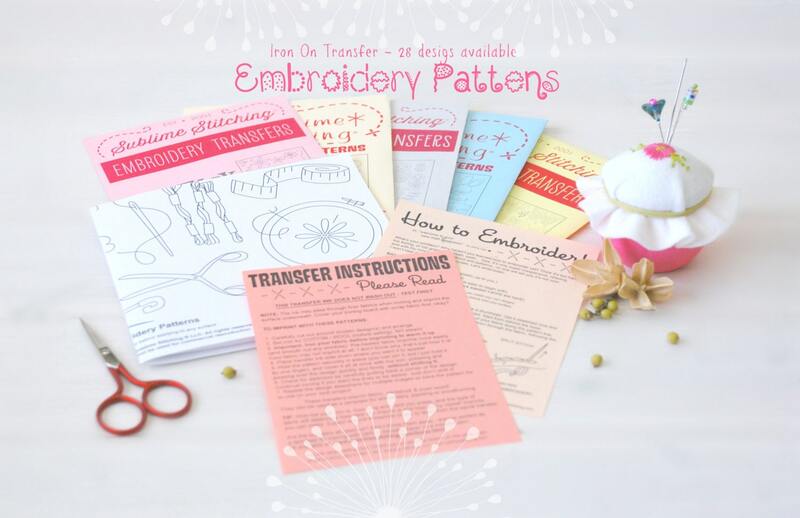 These iron on transfer embroidery patterns are so much fun! Perfect for beginners and experienced. 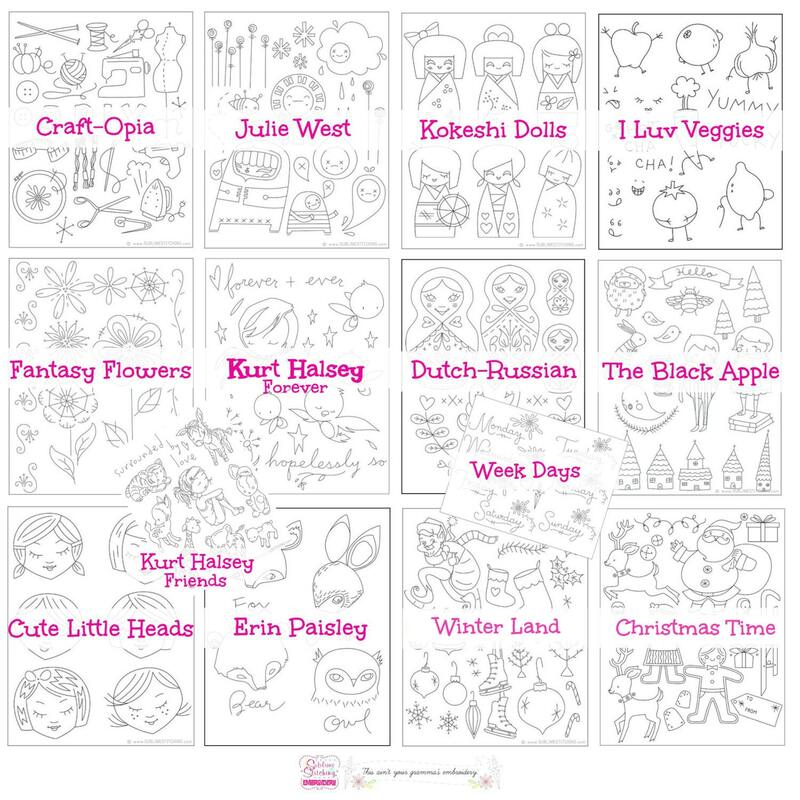 You will find super cute designs and the best part of all is that these are so easy use!! To see all the designs refer to image #3 & #4 zoom in to see names and patterns better. 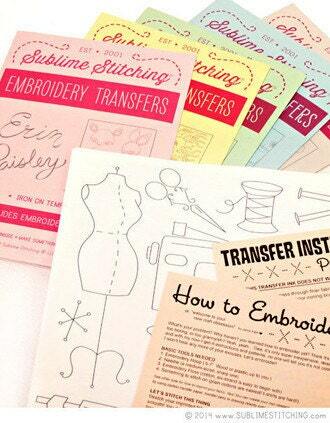 You can transfer onto Fabric including Wool Felt, Paper, Cardboard and even wood. 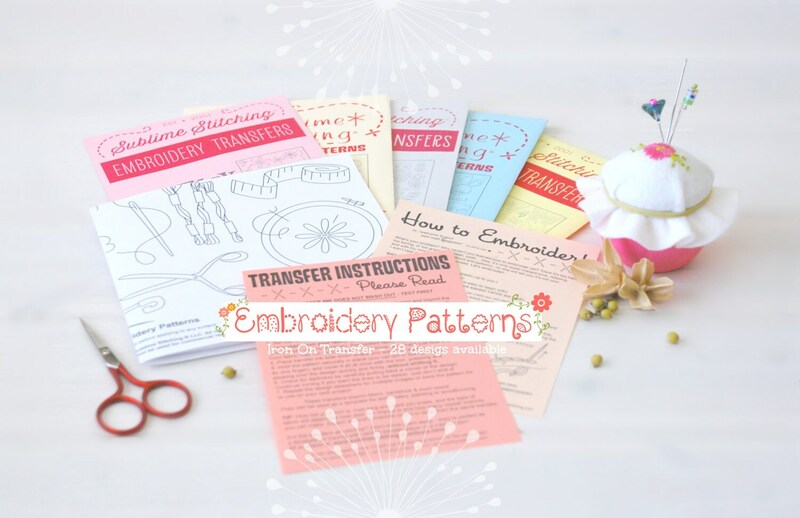 Each pattern contains 1 letter size sheet with multiple iron-on patterns, transfer instructions and basic embroidery instructions. Fast shipping and packaged nicely, thank you! Great service and fast shipping as always! 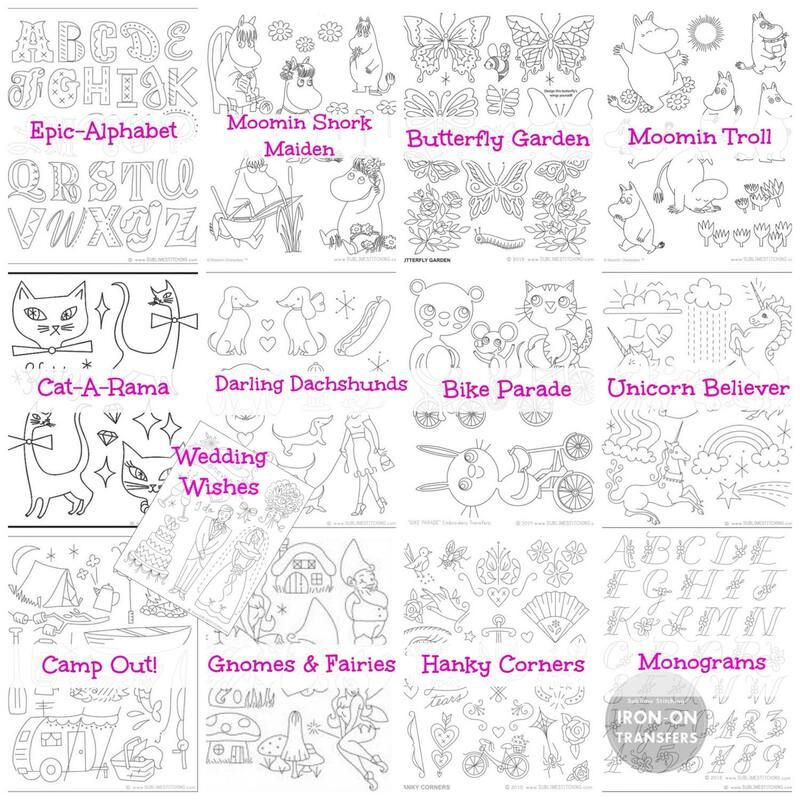 Such cute designs, I can't wait to get stitching.